Want to feel healthier? Start with better food choices. Do you think you are a pretty healthy eater? Or are you trying to lose that last five pounds, feel more energetic or develop a more mindful approach to eating? Here are four food-oriented behavior tweaks that can help you make better food choices overall. Research shows that when people are given larger portions, they unintentionally consume more. Both at home and at restaurants, it’s common to eat more than you intended in one sitting. Next time you make dinner, package up the leftovers before you go for seconds or thirds. When you are out to eat, share a meal with your friend, or split your meal into two servings on your plate and box up one serving. This is a simple way to give yourself a gentle portion control reminder. Don’t rush through the meal; slow down and enjoy each bite — not to mention the conversation with others. This is a great way to take note of the amount you eat during a meal. Giving your body a chance to digest will allow you to feel full before you finish an over-sized portion. When you get busy during the day, it’s common to forego sitting down for a meal and replace it with ongoing grazing and snacks throughout the day to tide you over. If you’re looking for a way to take responsibility for what you eat and be accountable, write down what you eat each day for a full week. The notes could surprise you! A food journal will give you a better gauge on your eating habits. While a food journal is meant to help with accountability, it’s not meant to be a judgment on food consumed. Ultimately, it’s an opportunity to be mindful of what you’re consuming, so try not to be harsh with yourself when you review the notes. In today’s busy world, it isn’t always easy to prep and cook your meals at home. But with a little dedication, and help from a website like plantoeat.com, you can make home cooking a tasty priority. Start by setting aside time to plan out your meals, go grocery shopping and cook. If your weekend is jam packed, try to shop on Sunday and reserve Monday night for meal prepping. Remember to take into account your schedule each week; do you have a lunch meeting or dinner plans? You don’t want to over-buy food that may go to waste. 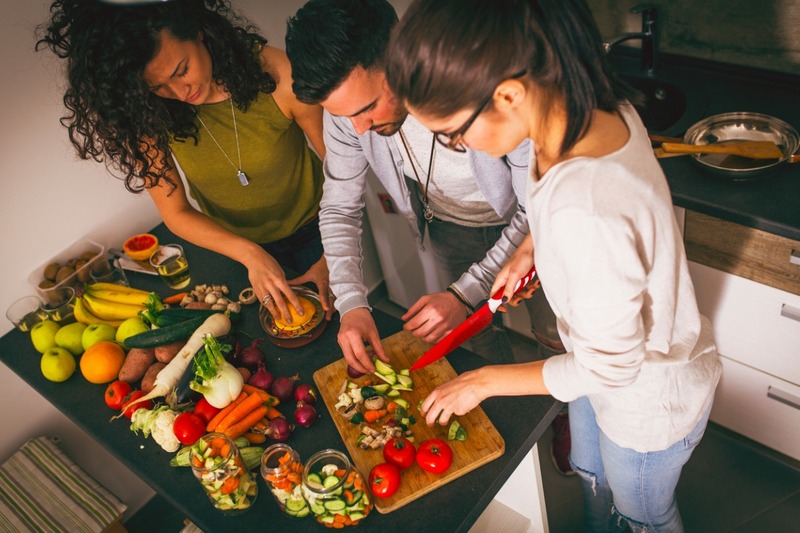 If you’re cooking for one, try recipes where you can freeze a portion or buy ingredients that can be used in more than one meal. Set a reminder on your smartphone or put a sticky note by the door so you don’t forget your lunch in the fridge on your way out the door. Sugary drinks or processed food with added sugars could be sabotaging your diet. The American Heart Association recommends limiting the amount of added sugars you consume to no more than 36 grams for men and 15 grams for women per day. Considering those recommendations, did you know there are 39 grams of sugar in a single can of Coke? Take a look at your normal snacks and do a quick calculation of your daily added sugar intake to see where you stand. It can be easier than you think to swap that can of pop for a sparkling water instead. Making better choices when it comes to the food we eat does take planning, but don’t get bogged down. It’s easy to lose sight of the important role food plays in our lives. Being mindful of what you put in your body goes a long to making you feel healthier and happier. Thich Nhat Hanh’s advice on how mindful eating leads to a more mindful life. Monica Reinagel, aka the Nutrition Diva, gives, smart, quick and well-researched dietary advice, keeping you up-to-date. Apps can help keep you accountable to yourself and your fitness pals with recipes, food trackers and nutritional information on a variety of foods. In Colorado, farmers markets are plentiful and offer a great way to get fresh, local produce to go along with your next home cooked meal.